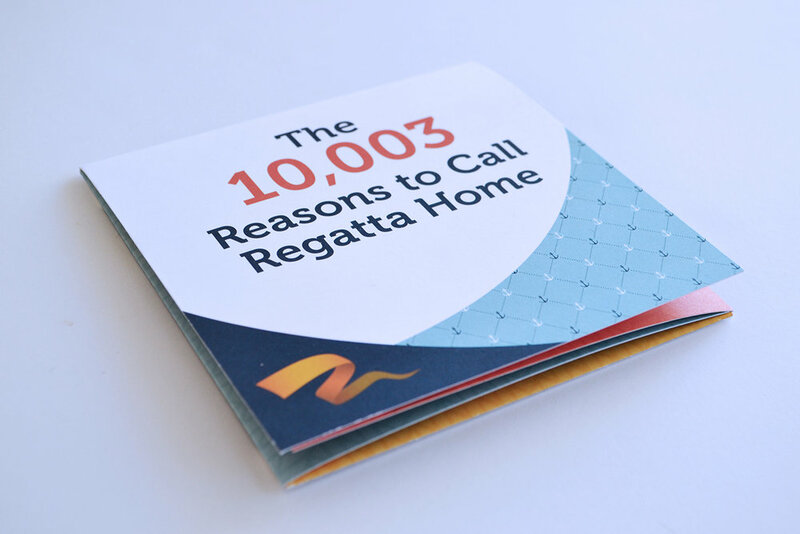 This direct mailer was created at The Idea Partner for Regatta, one of Brookfield Residential's lake communities. 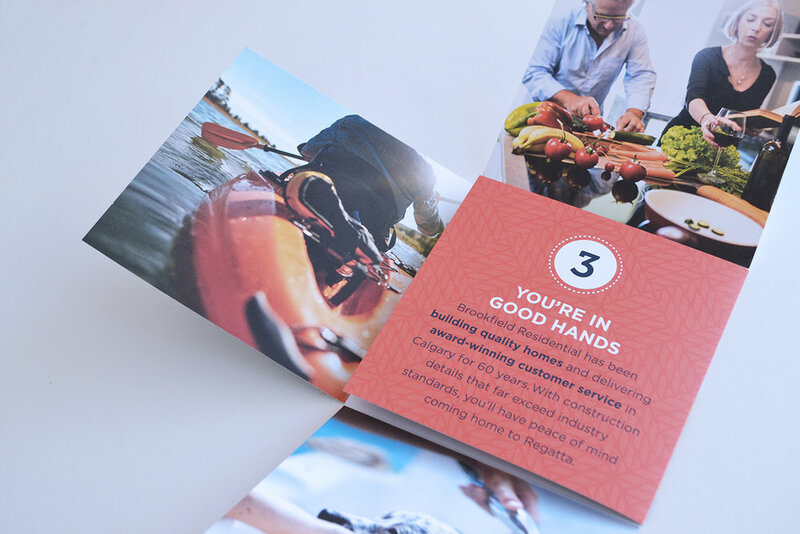 We wanted to create something that stood apart from standard direct mail by fully engaging the recipient. By having to open up multiple flaps, the recipient views key messaging in a unique and interesting way. My role in this project was to design, source imagery, and build the final production file all while maintaining existing Regatta brand standards.